If the pads are not sitting correctly or are lifted, it can cause the connection between the PCB and the component to fail. 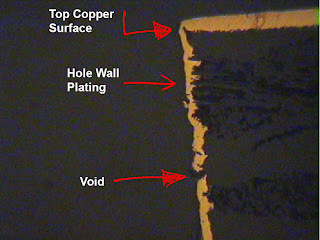 Plating voids in plated through holes happen when, during the deposition process, copper is not coated evenly, preventing proper plating. The printed circuit board surface finish forms a critical interface between the component to be assembled and the bare PCB. Controlled Impedance: Why do I need to know more? Every circuit on a PCB has impedance. The goal is to control the impedance. Below is a diagram which describes the recommended dimensions for V-Cut. See our blog post on v-scoring of printed circuit boards in arrays for more information. The following document was designed to answer some of the more common questions surrounding RoHS. However, if, after reading, you still have questions, please contact one of the knowledgeable members of our Engineering Team. 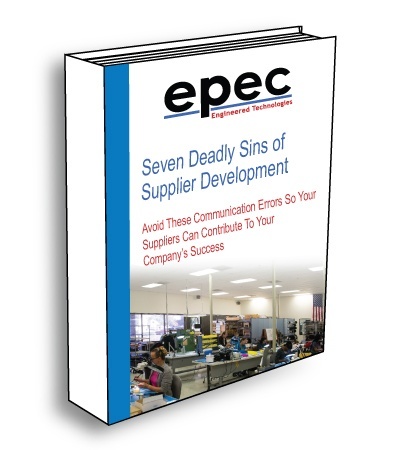 The purpose of this document is to describe the minimum data and information required by Epec Engineering to generate the tooling. Learn some of the issues surrounding Solder Mask Staining as well as some of the causes and remedies.